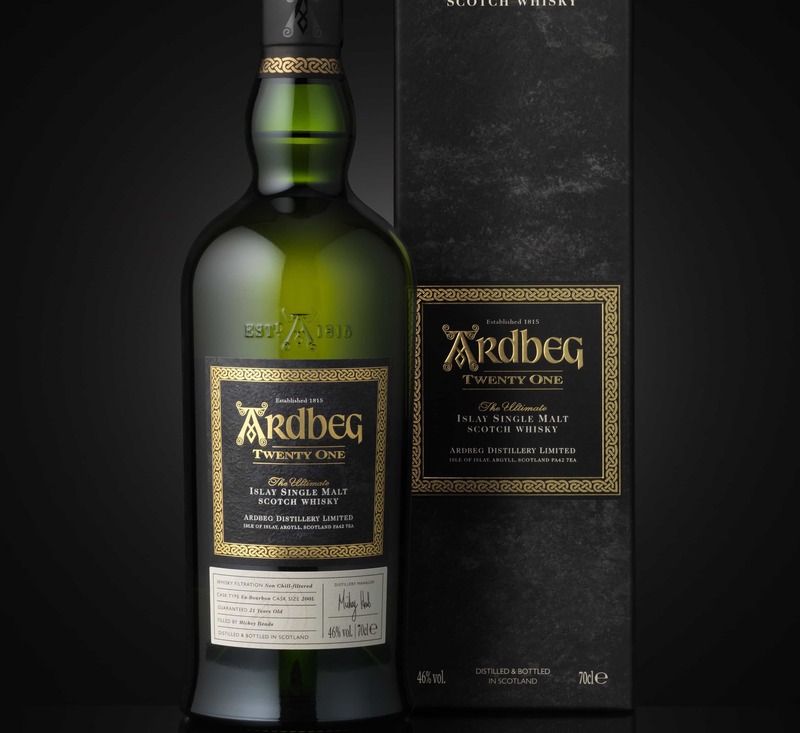 Today – June 3rd – is Ardbeg day. That means Ardbeg embassies across the world (shops that have some kind of nice relationship with the brand) have all sorts of fun whilst flogging a new bottle to the masses. 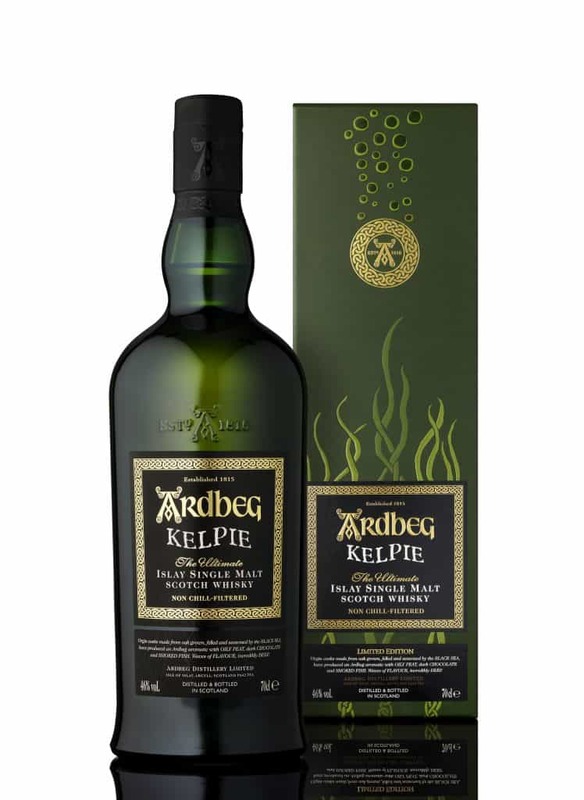 This year’s new bottle, for £98, is Ardbeg Kelpie. As ever with Ardbeg, the new name is borrowing from local folklore – Kelpie in these case being a water demon off the coast of Islay. 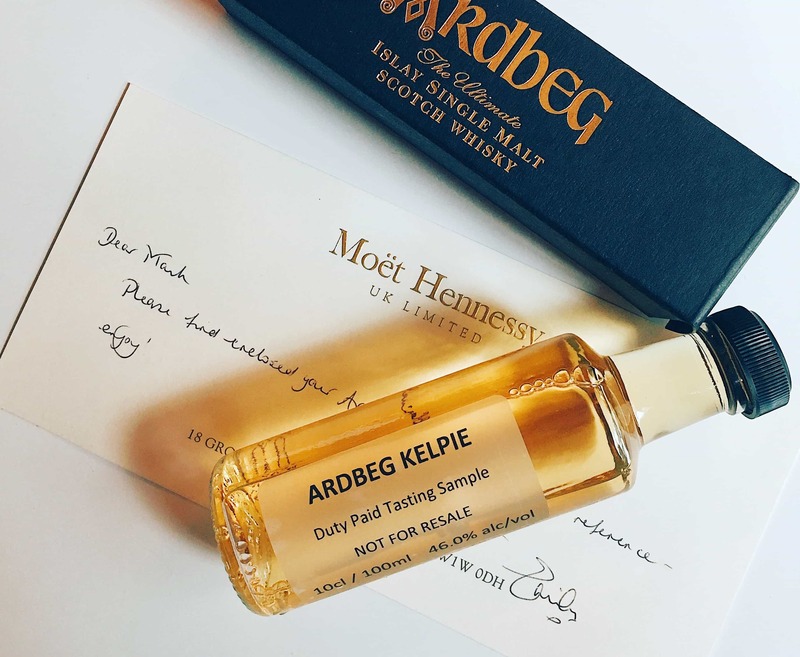 That aside, Ardbeg Kelpie contains whisky that has been matured in Black Sea oak casks, which is a little more unusual. It’s not fully matured in that wood – this is married with standard ex-Bourbon Ardbeg. But that exotic wood has been sourced from the Adyghe Republic in Russia. The press material suggests that the casks give “incredibly deep flavours” to the whisky, whatever that actually means. Deep flavours? Not much in the way of science. And surprisingly no one is really asking about what the oak grown there actually does to the maturing whisky – am I alone in wanting to know this? (Edit: apparently not, there is some interest to wineries – thanks, Benoit!). Given it’s Ardbeg Day, it’d be rude not to see what Ardbeg Kelpie tastes like. On the nose: really very sweet, but lovely. A vanilla, honeysuckle sweetness that combines with sweet peat notes. That fades, leading the whisky into medicinal, iodine or TCP notes (almost old Laphroaig 10, when it was good). Agitation seems to bring out its ashier side, so leave it be to reveal more fruitiness: baked apples, nutmeg, toffee, and some fresher buttermilk notes. In the mouth: oily, chewy, salty, sweet. The peat seems rather gentle at first, and almost gets lost in a malty, brine quality. But it’s there, along with malted milk biscuits, some cereal qualities and then butterscotch and ground almonds. Dark chocolate, with a little heather honey. Some unusual green tea and grassy notes towards the end, with nutmeg and some slight grapefruit style acidity to finish off – and round off – any vanilla sweetness. The finish is perhaps a little too short, but the peat and pepper returns. Well balanced, light for an Ardbeg, and not overly intense. Nothing fancy, nothing to back up the marketing stories behind it, just simply a good, tasty whisky. I must say, I’d love the cask strength variant Committee Release, at twice the price, which came out earlier. Anyway, a good bit of blending. I’d say it’s a very accessible, and rather flavoursome Ardbeg. I like this a lot. £98 feels a shade too steep for me – I wouldn’t pay it – but they will probably get away with it.